It's getting tougher for recent grads to land a job worthy of their college degree. 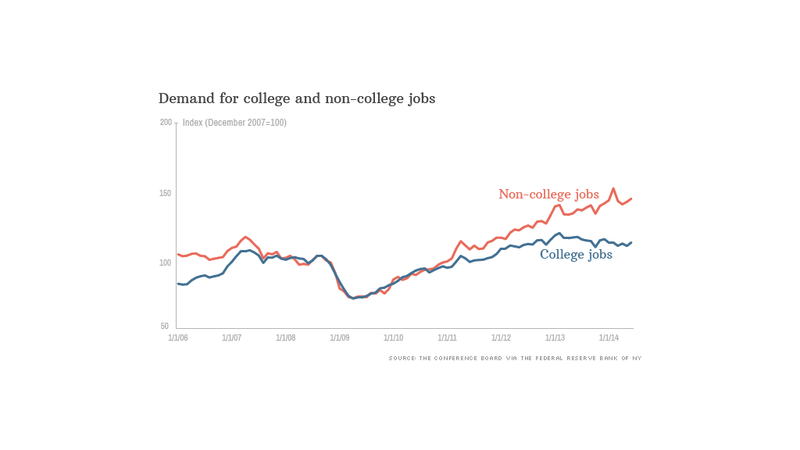 This is not to say that recent grads aren't getting jobs. In fact, their unemployment rate has fallen to just over 5%, down from a peak of slightly more than 7% in 2011. And it's less than half the rate of young workers who don't have a bachelor's degree. But many recent grads are underemployed, working in jobs that don't require degrees. The underemployment rate has been on the rise since 2003 and now stands at 46%. Share your story: Are you a recent college grad? Did you find a job? 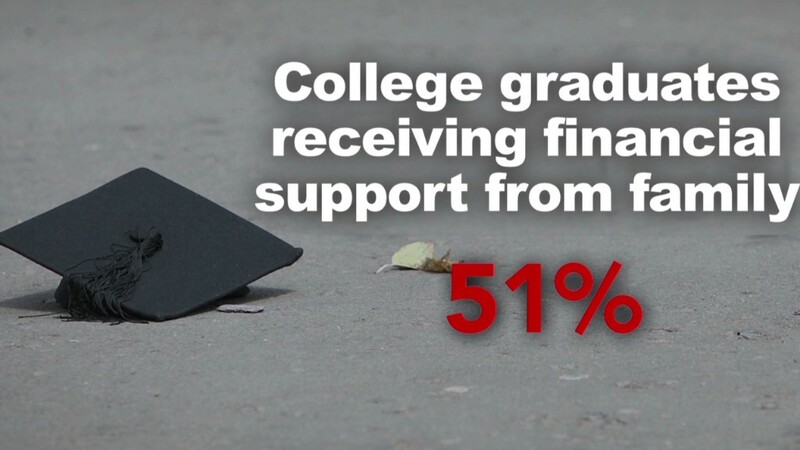 "It's not a great time for college grads," said Jaison Abel, an officer with the NY Fed's research and statistics group. "This pattern we've seen of increasing underemployment could continue for some time to come." This doesn't mean college isn't worth it, Fed researchers said. The value of a bachelor's degree is $275,000, on average. That's near its all-time peak. And it takes about 10 years to recoup the costs of a bachelor's degree. The Fed's research, however, doesn't take into account student loan debt. How one pays for college doesn't affect its value, the studies' authors said.